Held in Rio de Janeiro, Brazil just two weeks after the closing ceremonies of the Olympic Games, the Paralympics is a celebration of sporting achievement and competition by athletes who have disabilities. While there were initially concerns that the event would be dogged by low ticket sales and logistical hassles, the games are apparently going off without a hitch; CNN is one of many outlets that is reporting that ticket sales are stronger than expected. These Paralympics opening ceremony photos are a testament to achievement and endurance. Interest in the Games has spiked after Britain's Prince Harry made a personal donation to a charitable campaign designed to #FillTheSeats at the Paralympics by subsidizing ticket costs for Brazilian schoolchildren. Apparently, ticket sales have exceeded the 1.5 million mark, with over 100 events sold out so far. Organizers are anticipating that by the end of the Games, a total of 2.5 million tickets will be sold for the diverse array of events on display at the Paralympics. Noticeably absent from the parade of nations was the Russian Federation, whose athletes have received a general ban from participating in the Paralympics by the International Paralympic Committee due to an ongoing probe into systematic doping. Check out some of the best, most colorful photos from the exuberant Paralympics opening ceremony. Countries were announced by models holding puzzle pieces with the name of the country lettered on the front, to recognize that all of the athletes (and by extension, the countries that they are representing) may have their individual differences, they are all equally important to the greater whole. One of the highlights was definitely when American snowboarder Amy Purdy performed an interpretive dance with a mechanical robot arm for a dance partner, perhaps as a tribute to the transformative potential (and complex relationship) that technology has on the lives of disabled people in the 21st century. If the photos do it any justice, the 2016 Paralympic Games in Rio are off to an enthusiastic start. Hopefully, the fair amount of international enthusiasm they have been able to garner — despite earlier fears to the contrary — will continue to translate into increased interest and appreciation for the the athletes and their achievements. 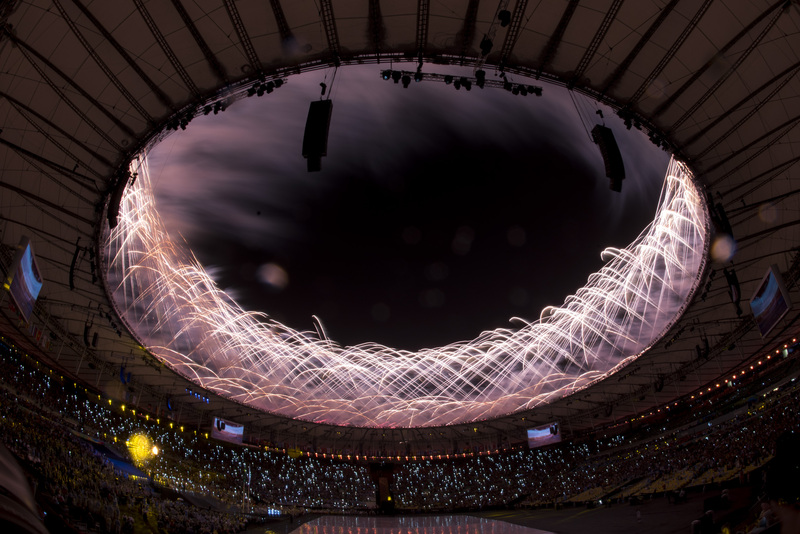 It seems like a joyous opening ceremony, and promising ticket sales are going to be the first of many happy surprises for athletes and organizers as the festivities wrap up and the contests start getting underway.